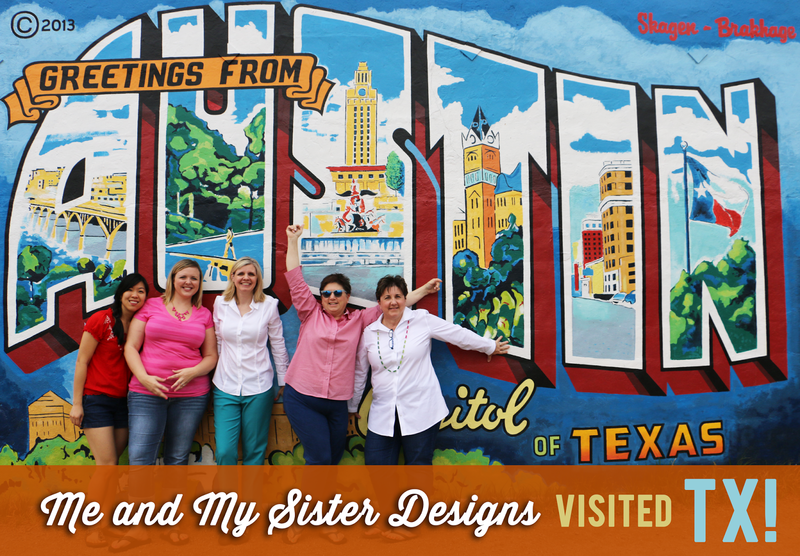 Fat Quarter Shop's Jolly Jabber: Me and My Sister Designs visited Austin, TX! Me and My Sister Designs visited Austin, TX! Last month, the dynamic duo of Me and My Sister Designs, Barbara Groves and Mary Jacobson came to visit Fat Quarter Shop in Austin, TX. We filmed tons of tutorials and fun videos for you and we have them all ready for you to enjoy on our YouTube channel! This video is a fun album of their visit, with some behind the scenes looks! We adore these frogs! That's why the Frog Patch pattern is our June 2014 Pattern of the Month. Watch this video to learn the simple steps on how you can make your own frog! Next, Barb and Mary will show you how to make a standard pillowcase using the FREE Dilly Dally Pillowcase pattern! We will be posting more Me and My Sister Designs updates and videos soon, but you can check out our YouTube channel for all of the videos!